The Little House on the Prairie television series does not stay true to the story lines within the pages of the Little House books, however, it tried to stay true to the spirit of the books. The fact that it lasted nine seasons is to its own credit. Many children and adults knew the television series before the books. Now fans have My Prairie Cookbook: Memories and Frontier Food from My Little House to Yours, a lovely cookbook for fans of the television series. 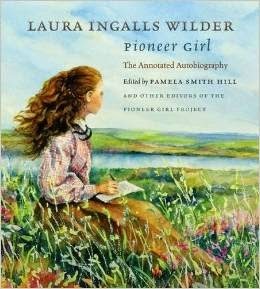 Actress Melissa Gilbert played the role of Laura Ingalls. 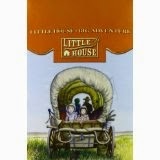 She has now written My Prairie Cookbook (affiliate link) for Little House fans. It's full of her own recipes, memories, and photographs. I appreciate how she introduces her recipes with a little story. We learn more about her and her years on the Little House set through her scrapbook pages, notes, and stories. In a world without a phone in every pocket, she has a lot of photographs to share. The cover of the book even has an old-fashioned feel to it. 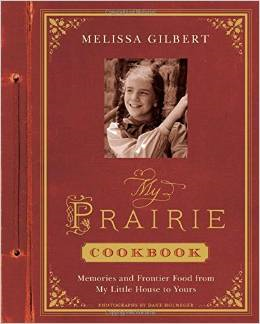 I highly recommend My Prairie Cookbook for fans of The Little House on the Prairie television series. It would make a wonderful gift.